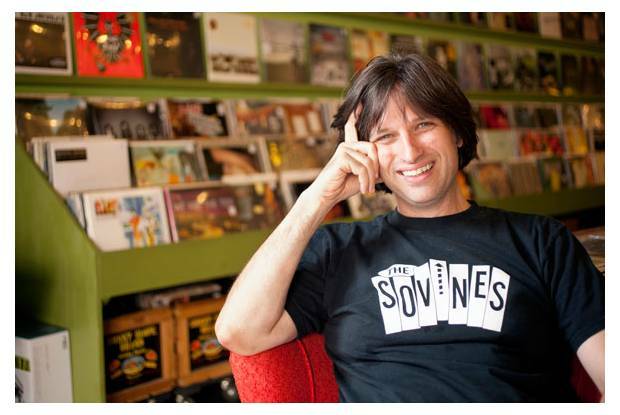 Check out Ken Eppstein’s interview with Columbus Alive! Ken has been an Ohio Art League member for several years and is a respected member of the community. Be sure to check out his company Nix Comis. Check out the August issue of 614 Magazine! Several OAL members are featured such as Esther Hall and Jose Bastidas. 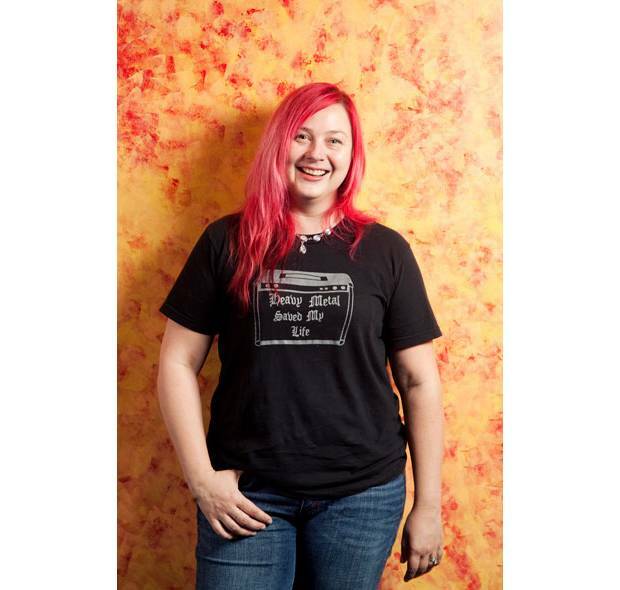 Read the articles here: She’s Crafty and Gallery Space: The Voice of Hope. Ohio Art League members Erin Corrigan and Stephanie Rond have been featured as People To Watch in the upcoming year by Columbus Alive. Check out their featured articles as well as the stories of the other honorees here. The Urban Cultural Arts Foundation (UCAF) in Partnership with Central Community House will roll out its Sixth Annual African Village Festival on Saturday August 18th from 11:00am to 7:00pm 2012 at the Old Central Community House located at 1251 Bryden Road, Columbus, Ohio 43205, beside the Kwanzaa Playground and across from the William H. Thomas Gallery. With a widely celebrated history of bringing the finest local and regional musicians, dancers, poets and visual artists to the Near East Side area, UCAF continues that tradition with a lineup that includes Chicago Style Steppin with Jay Johnson, Poet Anthony Russell, Jazmine Agaff and many more. This year’s festivities, which honor the Columbus 200 Bicentennial with a tribute to our past, present and future, will feature loads of attraction and activities, including food vendors, artisans and crafters, drum circles, traditional African ceremonies, Community Mural Painting and a variety of exciting workshops. In keeping with tradition, the African Village Arts Festival is family friendly and will offer workshops for children and adults, arts and crafts and a bounce tent. 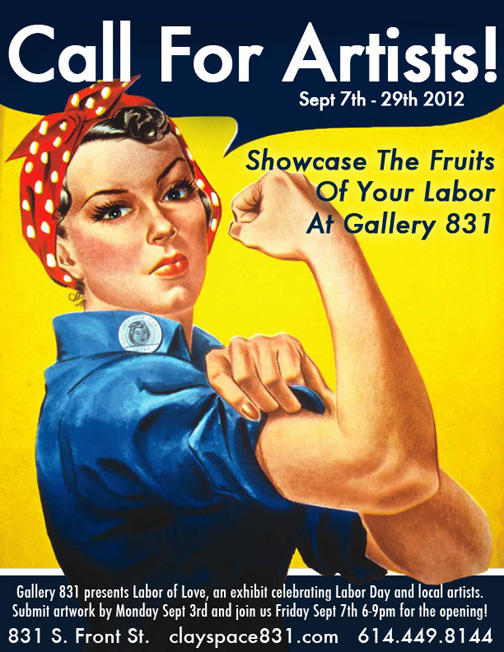 Gallery 831 presents: Labor of Love, an exhibit celebrating Labor Day and local artists. The end of summer, start of school, a day off work, or a celebration of work! Submit artwork that expresses what Labor Day means to you. Submission deadline: Thursday, August 30 at 6pm. Show ends: September 29th at 6 pm. Work should be ready to hang or display. Please submit images to Todd Hickerson at toddhickerson@yahoo.com. 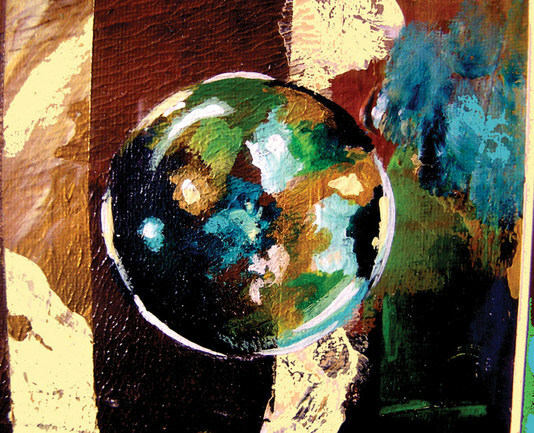 Space: A Member Curated Exhibition hosted by The Ohio Art League. 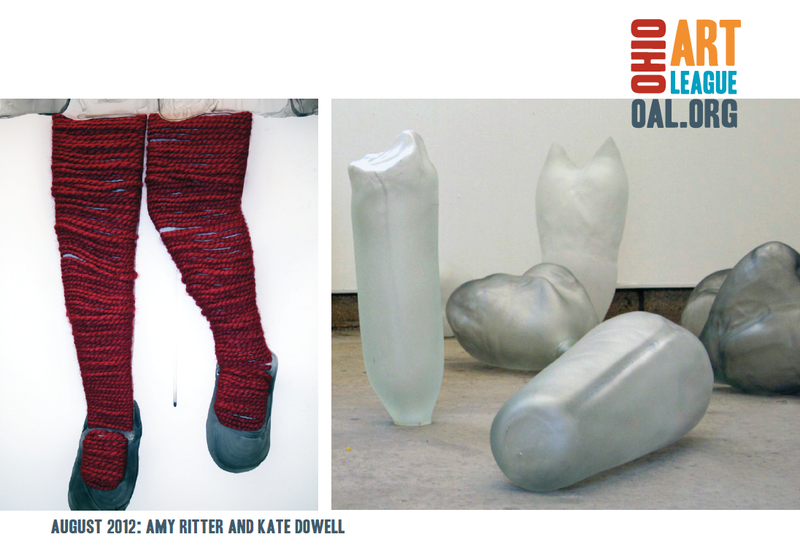 Featuring the work of Amy Ritter and Kate Dowell. Exhibition will run from August 2nd- 25th. 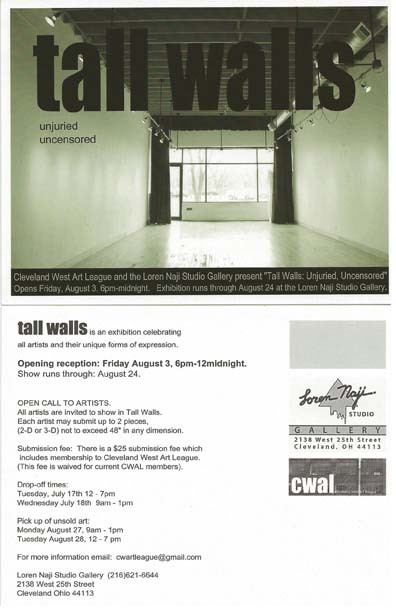 Opening Reception: August 2nd 5-8pm. If you can’t come to the opening for the OAL Member Curated Exhibition: Art Under Pressure, then check out the article in Columbus Alive. 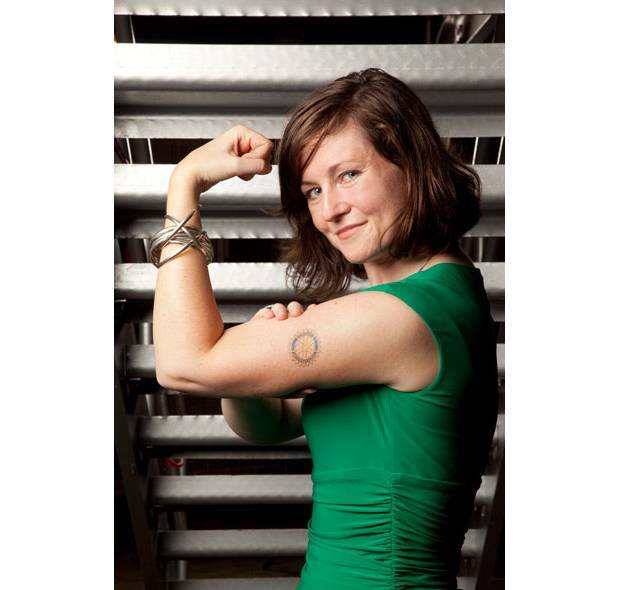 It features the work of the Phoenix Rising Printmaking Cooperative. The exhibition will run from April 5th (opening reception starts at 5pm) through the 28th. Recognizing both the Columbus bicentennial and the 20th anniversary of the Sister City program between Columbus, Ohio and Dresden, Germany, Time and Place features works by 17 German and 19 Ohio artists that have participated in the Dresden/Columbus printmaking exchange, a program facilitated by the Ohio Arts Council. Curated by Nicholas Hill. 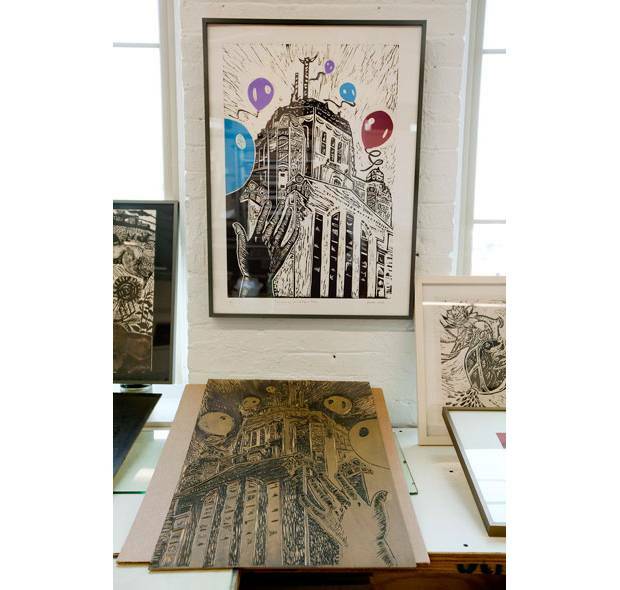 Coordinated by Columbus’ own Phoenix Rising Printmaking Cooperative, this meditation on perspective features works by artists associated with four independent Ohio printmaking cooperatives. Through a call for entries, two-dimensional works were accepted with the condition that they contain a distinct horizon, by which the pieces are conjoined end-to-end, and visually connected from their various origins. Through archival material, set pieces, video and recorded conversation, Tracing History explores dancer/choreographer Bebe Miller’s creative process and history of dance innovation. Curated by the Wexner Center’s Jerry Dannemiller, Tracing History complements the world premiere of Bebe Miller Company’s next major work, A History, to be staged September 27-30 at the Wexner Center for the Arts. OSU Urban Arts Space is a 10,000-square-foot multi purpose gallery and alternative performance space in downtown Columbus at 50 W. Town Street. Hours are Tuesday through Saturday, 11am to 6pm; open late Thursday, 11am to 8pm. 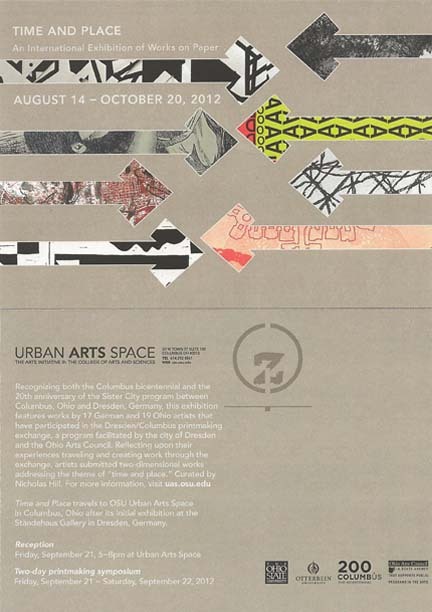 For venue information, call 614-292-8861 or visit uas.osu.edu.Urban Arts Space is part of the College of Arts and Sciences, the academic heart of Ohio State. With more than 80 departments, schools, centers and institutes, the college delivers 60 percent of the academic curriculum to Ohio State students. Its vast academic diversity is its greatest strength, combining the best of a major research institution with a rich liberal arts foundation. Arts and Sciences faculty create new knowledge to solve global problems, fuel Ohio’s economy, spark student inquiry, and engage with the local community.